Drinking a beer from its birthplace always tastes better, but seeing how its made makes you appreciate it even more. 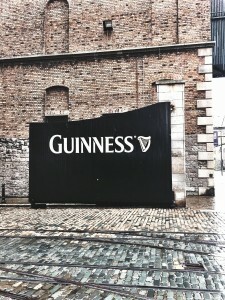 Knowing I was going to the beer mecca, Guinness Storehouse made my trip to Dublin even more exciting. I anticipated seeing the brewery with large vats of beer piled high while taking a typical tour of how it’s made, little did I know I would be walking into a sensory experience that blew my mind. 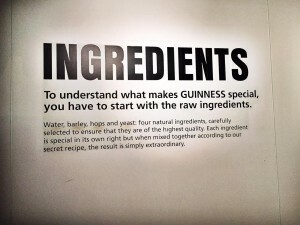 The Guinness Storehouse is a marketing, social media, advertising, graphic designer’s dream! 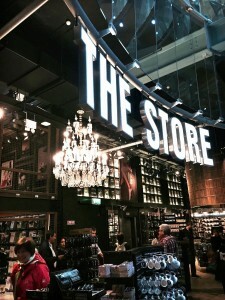 Oh and of course a beer connoisseur’s heaven. The building is eight levels high, shaped like a pint of beer when looking down from the top. Each corner and ounce of space has been creatively thought out to make your tour of the brewery like nothing you’ve ever seen. Each level takes you through the process of how it all started from learning who Arthur Guinness was and his love for his beer, to the incredible lengths and details that go into making the number-one stout in the world. One entire floor level displays how Guinness has traveled the globe to transport its precious cargo since the beginning from large shipping vessels, trains and automobiles. My favorite level is the Guinness World of Advertising. Eighty years of their imagination from 1769 to today’s advertising, their creativity of print, digital and TV campaigns is unmatched. 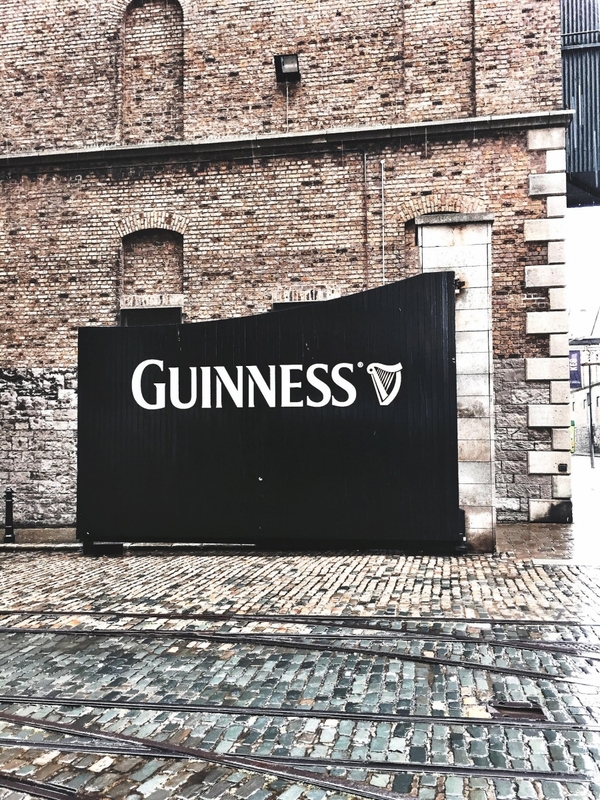 If you think you have a perfect pour, you can enter into the Guinness Academy where this six-step legendary ritual tests to see if you have what it takes, if you do you’ll receive an official Guinness certificate. On the fifth floor is the Brewer’s Dining Hall, inspired by 18th and 19th century dining rooms featuring a menu of iconic Guinness dishes and traditional Irish fare. 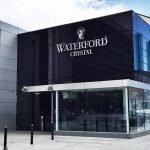 On the very top level is the Gravity Bar where you can enjoy a Guinness with a 360 degree beautiful view of Dublin, the best way to drink this stout. If you are not a Guinness fan, you’ll become one, I swear it tastes better at the Storehouse than it does in your own city or even at the local Irish pub around the corner. Before you exit the building, there is a beautiful retail area that has everything from Guinness t-shirts to Christmas ornaments to socks, mugs and anything else you can imagine, in fact it’s the largest collection of Guinness memorabilia in the world. 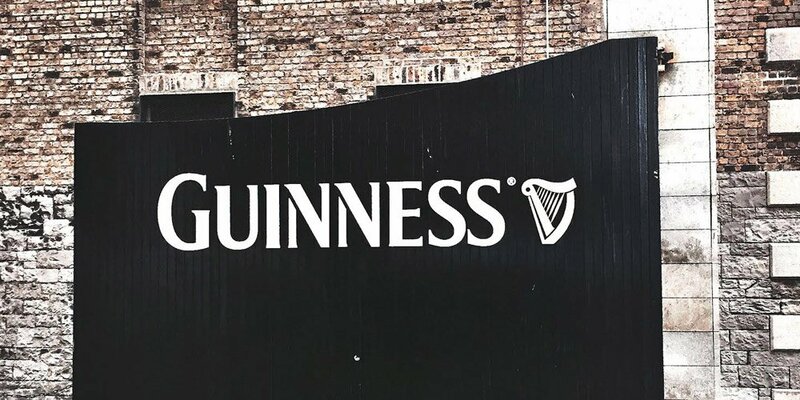 You’ll leave the Storehouse a true Guinness fan even if you weren’t walking in; it’s a true Dublin experience you’ll never forget.